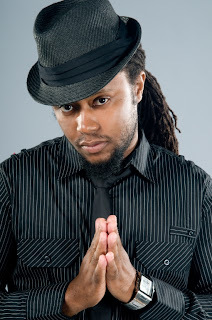 International Reggae singer Duane Stephenson widely known for his 2008 hit single "August Town" is gearing up to shoot a new video for his"Another Day In Kingston Town" single on the Think Twice Riddim produced by Warrior Musick Production. The video which will be directed by Damion Gayle will be shot across several locations in downtown Kingston and will be the second of two new videos released by Stephenson during the first quarter of the year. "I also have a video for "Fire In Me" dropping real soon and that is because the fans have shown me just how much they love the song". According to Stephenson his fans can look out for a host of other new projects this year. "I recently recorded two singles with Don Corleonewhich will be released soon and I have a new 15 tracks album on the way. I'm in studios working closely with Dean Frazer and Christopher Birch and it will be released by mid year. Stephenson who had a brilliant 2012 having toured extensively says he will continue spreading positive messages through his music. "Right now im just focused on making good uplifting music, I am still hearing singles such as "Nah Play" and "Fire In Me" which were on my last album"Black Gold" in rotation on radio so that says to me the content is still relevant". In other news Duane Stephenson will travel to Barbados in February but not before performing in the Caribbean island of St. Thomas later this month.